The other day Brant Moore put together a video giving you a look at the different BMX Multi-Tool options there are available to riders these days. The Multi-Tool originally started when DK Bicycles released their Random Wrench, at fit all the key tools you needed to work on a BMX bike into a compact, small tube with a few different attachments. Since then brands like The Shadow Conspiracy, Eclat, Animal Bikes, Odyssey, Merritt and Tall Order have come up with their own Multi-Tools that use some what of the same concept, but some what different designs. After checking out Brant’s video above we decided to take a look at these different options so you could easily see all the different BMX Multi-Tool options and compare them. Let’s get into this. Let’s start out with The Shadow Conspiracy’s Multi-Tool. This tool was designed after the DK Random Wrench, but includes a few items not found on that tool to give it a few more options. This Multi-Tool has an Investment Cast, forged and CNC machined steel construction that includes these tools. The Shadow Conspiracy’s Multi-Tool fits all of the parts inside the tube with a magnetic cap to keep the small pieces in place. Available in black, copper and chrome colors with a $59.99 price tag and a weight of 33.6 oz. All the parts the Multi-Tool has inside. A detailed look at the cap that holds all of the small parts in place. The newest tool that is hitting BMX shops and mail-orders in March of 2017 is the Travel Tool from Odyssey. This tool is more simplistic than the Shadow Conspiracy, DK Bicycles and Eclat tools, but still has all the key pieces. – 17mm Deep Socket with a full-length arm for extra leverage. 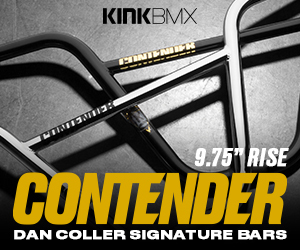 This one also features a lighter weight body and you could basically call it a Swiss Army Knife for BMX. The Travel Tool will be available in Black with an affordable $29.99 price tag that is a perk for sure. Really like the clean, simplistic look for the Travel Tool. Let’s take a look at the tool that started it all… Well, the 3rd version of the tool that started it all. The DK Random Wrench V3. This version was designed to be slimmer than its predecessors, but still pack all the tools needed. All of the parts fit cleanly inside the tube, giving it a clean look. The Random Wrench V3 comes in black, chrome and gold with a price tag of $39.99, which is not bad at all. Just as a note, most places only carry the black version these days. – tire lever built into the top next to the pedal spanner. The V-Tool Extension adds a few more tool options, additional storage space and can be connected to the original tool. – HD 1 1/8 single speed chain tool with pin guide. The Vocal V-Tool is another solid option for a tool that has it all. The design is a little different and not quite as compact when it’s connected to the extension, but it does get the job done for offering everytihng. The Vocal V-Tool comes in Black only with a price tag of £29.99 (on sale at the time of writing this) with the extension being an additional £23.99. It’s not the most affordable option, but has more than the less expensive basic options. Another one of the new options that are available, plus the most simplistic would be Tall Order’s new Pocket Socket that eliminates pretty much everything and only has the very minimal for tools you would use regularly. The Pocket socket comes in black and chrome, weighs in at a very light 4 oz., is 210mm in length so it does indeed fit in your pocket and has a price tag of $17.99. This is a great option for people that don’t want to carry around a big tool, but obviously it only has a few of the tools you may end up needing during a session. Another very simple tool that cuts things back to the minimal neccesities would be the Merritt Trifecta Tool. This tool, similar to the Pocket Socket above is a small, compact tool that folds out with a few configurations to dial your bike in with. – Velcro strap to attach it to your bike if you want. The Trifecta tool has 3 of the key tools that you would use to dial your bike in with. Obviously that leaves out a lot of features some of the other tools offer, but it’s small, compact and lightweight (7.4 oz.) which is a perk. The Trifecta Tool is available in black only with a price tag of $34.99 through BMX shops and mail-orders that carry Merritt. Another tool that was based off the Random Wrench would be the Animal Bikes Kotulak Tool. This tool, similar to DK and Shadow’s tool is designed to pack everything you need into one tool with plenty of features to make sure you can keep rolling. This one comes with a unique shape and it also offers that swivel head which is a perk when it comes to cranking your wheel down. Like the others, everything fits inside the tube to keep everything secured tightly into place. This is another great option for somebody that wants everything packed into one. The Kotulak Tool comes in black only with a price tag of $54.99. Last but not least, the E-Tool from Eclat. Once again, were’ looking a tool that utilizes a tube design, but this one works a little different than the others and has a super clean design. Those German’s always have a unique approach to things, and we’re definitely a fan of the look they gave for this one. The E-Tool measures in at 188mm long with a 30mm diameter, weighs in at 19.10 oz. and comes in black only. Everything packs neatly into it’s proper place for a compact storage. This one does come with a $64.99 price tag, which is higher than the rest so that’s a downfall. Looking at each tool, they all offer the same tools essentially, with some offering more like chain breakers and tire levers and others taking the minimalist approach with only focusing on the main tools you will use more frequently. Things to consider with this are what tools do you absolutely NEED (I mean, you need all of them at some point) during a session or a trip, if you want something that slips into your pocket or something that might be a little bulkier but have more options, price and colors. Regardless, it’s always a good idea to have the right tools for the job. Make sure you check out our BMX TOOL GUIDE for a full list of tools that you could use as well. That wraps things up with this BMX Multi-Tool Guide. We hope this helped you compare the different BMX Multi-Tool options available, so you can figure out which one you prefer to have. Everything you see here can be picked up through BMX shops and mail-orders worldwide. Have you used any of these tools? Let us know what you think in the comments below!